La Pata Avenue Extension project (La Pata) eliminates an existing gap in the Orange County arterial highway system and establishes a connection between SR‑74 to the north and Avenida Vista Hermosa to the south. 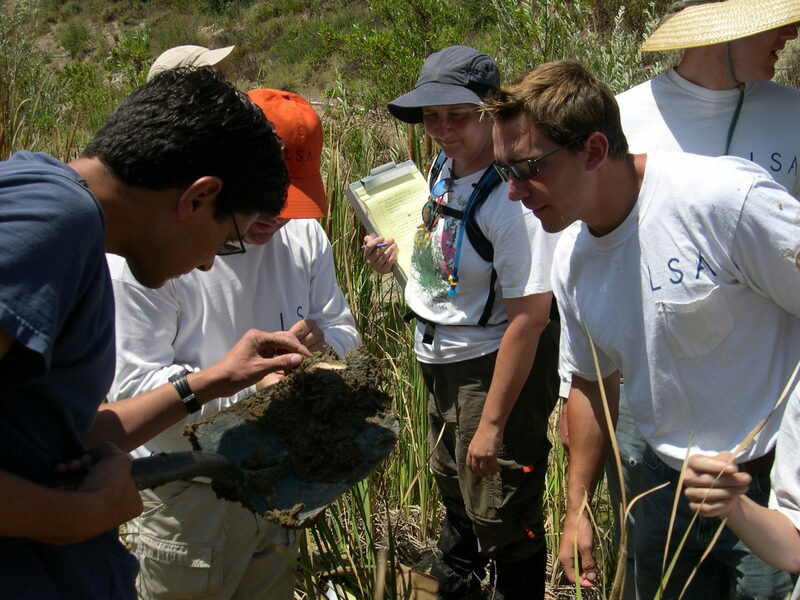 In 2014, OC Public Works retained LSA to monitor for paleontological resources, observe grading activities, and salvage any paleontological resources (fossils) encountered. La Pata is underlain by two geological formations (i.e., the Capistrano and Monterey Formations), both of which were deposited in an ancient marine embayment that covered this area. All of the fossil specimens collected on this project were recovered from the siltstone member of the Capistrano Formation, which is 3 to 7 million years old. 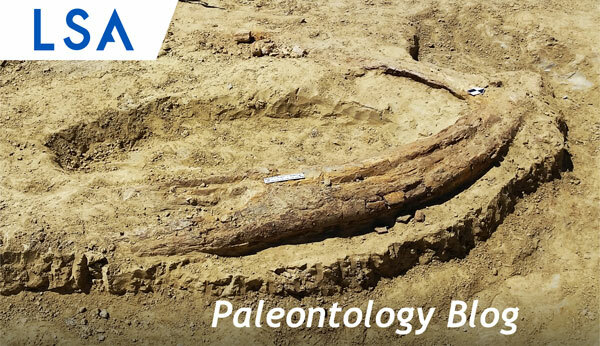 The baleen whale jaw in the photo was found by an LSA Paleontological monitor during construction excavation in July 2014. After excavating the find in the field, portions of the fossil that were in good condition were transported to the LSA Laboratory. Other fossils that have been collected include several individual bones from whales and dolphins, a partial large short-toothed walrus, as well as whole and fragmented fish. The discovery of fossils, especially vertebrates (animals with backbones), is rare, and these significant fossils from La Pata add to our knowledge of the animals that existed in this area millions of years ago, as well as the general history of life on earth. Please contact Lloyd Sample at Lloyd.sample@lsa.net or Sarah Rieboldt at Sarah.Rieboldt@lsa.net for any of your paleontological needs.